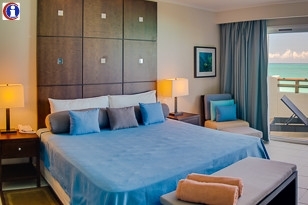 If you are looking for an all-inclusive holiday in Cuba with an idyllic beach location & well-above-average facilities, you will find all you need & more at Golden Tulip Aguas Claras Resort. 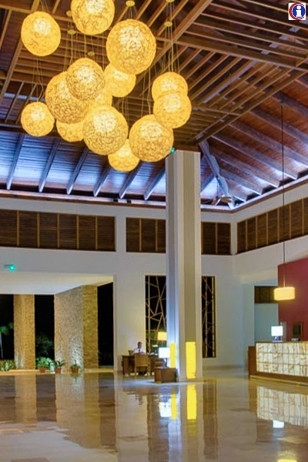 Aguas Claras Resort sits beside one of the most beautiful stretches of beach on the island &, having only opened in August 2013 (as Eurostars Cayo Santa Maria), is modern, luxurious & stylish throughout. The complex has a bright, airy feel with excellent views & well-manicured landscaping throughout. 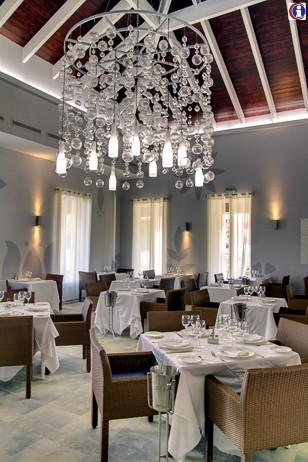 There are 7 bars, 3 a la carte restaurants – which include Mediterranean & Cuban cuisine – a buffet restaurant & 2 snack bars. There have been mixed reviews of the food & service to date but this is a new hotel & the standard is generally good. There are also excellent evening shows which will appeal to guests of all ages. Golden Tulip Aguas Claras Resort has 2 swimming pools which are connected & slope over 3 tiers. There is a great swim-up bar & you can find great views of the sea just a few steps up from the pool. There are also 2 children’s pools as part of the hotel children’s club, which has organised activities to entertain children of all ages. There is also a bar near the children’s pool which is ideal for parents. 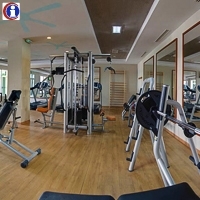 Other facilities include 2 tennis courts, a gym & beach watersports such as snorkelling, kayaks, catamarans & windsurfing. If you tire of long walks through the white powder sand & turquoise waters, there is a pretty little market held regularly just minutes from the hotel. 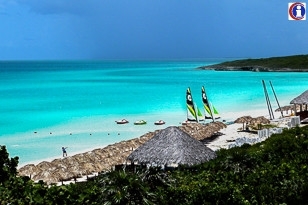 But few people ever tire of this place, which is how Caribbean beaches should look. 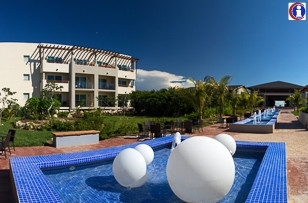 Perfect for families & couples, if you want a luxury all-inclusive beach holiday, you should stay at Golden Tulip Aguas Claras on Cayo Santa Maria. 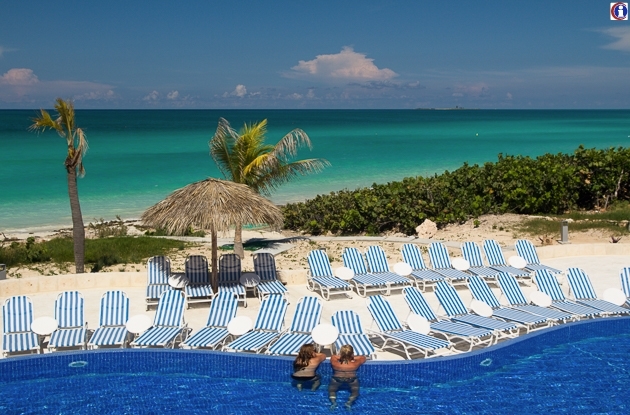 This resort is owned by the state comapny Gaviota SA and it was previously known as Hotel Gaviota Cayo Santa Maria before as Eurostar Cayo Santa Maria. 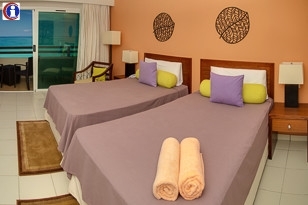 Eurostars Cayo Santa Maria also offers 324 Junior Suites with Ocean View.